Electric vehicles are coming. Audi’s 2019 Super Bowl ad promises that one-third of its cars will be electric by 2025. Mercedes-Benz, BMW, Nissan, Porsche, Kia, and Volvo are all launching new electric cars this year. Ford announced it will even build an all-electric F150. As battery prices come down and all-electric drive becomes more mainstream, will we see farm equipment similarly embrace this technology? Caterpillar recently gave us a glimpse of what that future might hold. Caterpillar rolled out an all-electric excavator with the help of Dutch dealer Pon Equipment. 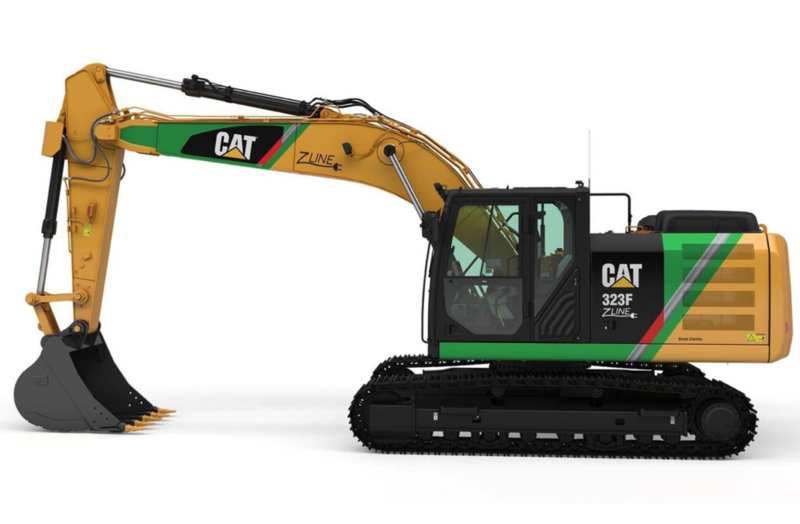 The excavator is said to have a 300 kWH battery and can run for 5-7 hours on a charge. By comparison, the biggest battery pack in a Tesla vehicle currently is 100 kWH, which has about 300 miles of range. Any bigger and weight becomes an issue for passenger vehicles. The excavator’s battery weighs a massive 3.4 tons, but weight is not an issue for construction equipment. The excavator is for use in Norway, which has embraced electric vehicles at a rapid pace. We’ve seen a few one-off projects from manufacturers and dealers before. Fendt makes an electric utility tractor. John Deere made a concept for France. But we’ve yet to see an attempt to create a mainstream all-electric tractor, swather, sprayer or other farm machine. If the Caterpillar excavator is successful, it will prove the concept of replacing diesel with all-electric may be viable for farm equipment too. Why would this matter? Grocery stores are increasingly driving production changes at the farm level. Consumers pick “environmentally friendly” packaging on the shelves, and this causes retailers to demand a smaller environmental footprint from their suppliers. Suppliers pass this demand down the food chain and require farmers to grow more with less energy. We’ve seen this happen with milk already. Processors require dairies to supply more milk with a smaller carbon footprint. All electric farm equipment is one way to help meet these benchmarks. Many farmers have installed solar panels on barns or built digesters that convert methane into electricity. A farm that uses self-harvested energy can sell a product that took fewer resources to make. Many companies are looking to reduce their carbon footprint to lower greenhouse gas emissions (GHGs). Electric farm equipment may help answer this call. Tesla also found that building fully autonomous vehicles (i.e. Autopilot) was simpler with an electric powertrain than a diesel-electric hybrid. There are fewer moving parts and fewer systems to maintain. As farm equipment becomes more autonomous, all electric drive will become more desirable from an engineering standpoint. What do you think? Is the Caterpillar electric excavator a sign of things to come on the farm?